All 4 Kids is a leading professional retailer for baby, kids and mums. We are based in Melbourne, but ship to the whole of Australia and the rest of the world. We are proudly Australia Owned and have run our home business since 2000. 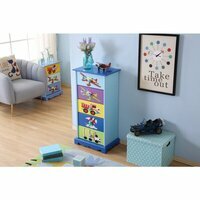 We deliver a wide range of quality products including nursery furniture, prams, baby clothes and manchester. We are a warehouse seller importing products, ensuring there is no middle man and saving you money! Excellent chair, comfortable, great for rocking baby to sleep, you can do so with your feet up as footstool rocks also. It was a great gift for my son and his wife for their first baby, it looks good too. It's easy to assemble, and great quality. My children love it.